The Axis Turbo-X is classified as a quadcopter and it is one of the lightest quads you can purchase. It weighs about 14 grams. This quadcopter is usually used for recreation/hobby and it can reach speeds of up to 30 mph. Tiny and easy to handle. The Axis Turbo-X is classified as a quadcopter and it is one of the lightest quads you can purchase. It weighs about 14 grams. This quadcopter is usually used for recreation/hobby and it can reach speeds of up to 30 mph. The Turbo-X is less costly than the average for a quad and it costs $45. The Turbo-X is controlled by a standalone remote controller. This means that you will probably have to practice using it to get the hang of the controls. 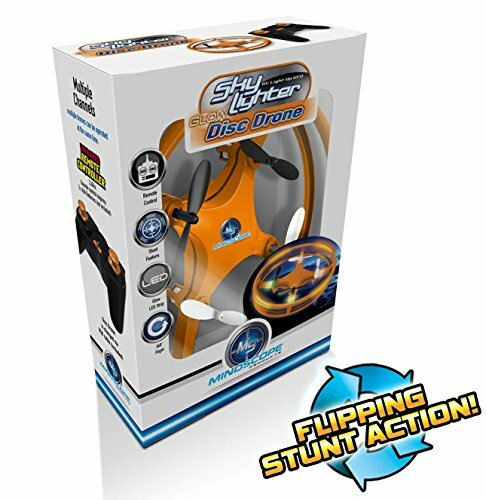 The Turbo-X is pre-programmed with a series of rolls and flips, for stunt pilots and show-offs. It is recommended for ages 14+. As far as color goes, this quad is available in red, orange, green and blue. The setup for the Axis Turbo-X Drone is unbelievably easy. 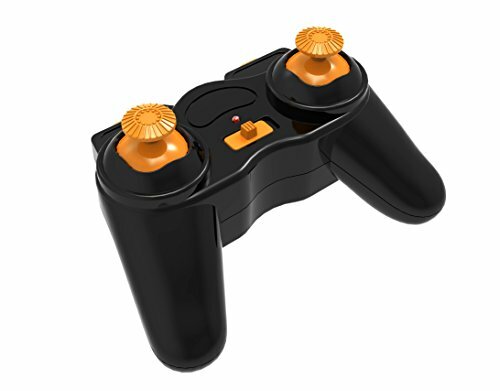 You only have to turn on the drone and the controller and push the left joystick up and down once to pair the two devices. The Turbo-X is louder than you would expect for such a small quad. However, that’s understandable with four propellers spinning so fast. Here are some of the specs of this quadcopter. The TURBO-X is the world’s fastest nano-sized quadcopter with speeds reaching over 30 mph. Thanks to the pre-installed advanced stabilization technology, the Turbo-X is capable of incredible mid-air manoeuvres with extremely responsive handling. At first this quad will likely be infuriating because you’ll find yourself overcorrecting every movement. However, once you get the swing and a delicate touch of the controller you will be impressed with the handling and how sensitive it is. You can bank quick and hard in any direction and your quad will automatically return to centre. There are three speed settings and if you are a beginner you may want to start at the slowest to prepare yourself for the higher speed. Bear in mind that low speed does not mean slow and this speed is ideal for indoor use. Medium Speed is much faster and it is not recommended for indoor use. And finally, High Speed is definitely not recommended for the faint of heart or for indoor flying. And remember, no matter where are you flying you have to watch out for other people. The Turbo-X is not an infrared toy that you can find in your local store. This quad features a 4-channel, 2.4 GHz system, which requires triple-A batteries, which aren’t included. This system allows you to maximize flight distance. It also creates a unique connection with your Turbo-X to minimize interference, allowing many quads to fly in the same zone. The Axis Turbo-X Drone does have a rather short flight time, about 5-7 minutes. However, it only takes around 20 minutes to get it fully charged again. Also, because this quad is so tiny, the battery storage is equally small. The Turbo-X comes with a pre-programmed 360 degree 3D flip-and-roll algorithm which allows you to show off in front of your friends. This is one of the best features that will make you look like a professional flyer in front of your family and friends. Just press in the right joystick and you can activate the 3D flip-and-roll program. After that, push the right joystick in any of the 4 directions you want your quad roll or flip. With so many drone-style toys available on the market today, it may be difficult to decide which drone to buy. The Axis Turbo-X Drone is reasonably priced at $40 which makes it an amazing present for pretty much anyone. The Turbo-X is a must-have gadget for anyone with a need for speed.